This story took a very long time to grow on me. It wasn’t a book that turned me off immediately or sucked me in straight away. Instead this story about a bunch of misfits – two AWOL soldiers who refused to carry out violent acts, a young punk-wannabe deejay, a married woman fleeing an abusive relationship, and a young girl separated from her parents because of fighting near her village. Somehow these five people make it to Lagos together and find that life in the big city is tougher than they expected. The group lead somewhat aimless lives and the plot meanders and gets lost here. Until they meet a corrupt official on the run. The story picks up, gets more interesting, especially when a British-educated journalist joins the scene. I would say this was a solid 3-star read. The author shows great promise and I think we can look forward to some more good books from her in the future. She is only in her early twenties but already is so accomplished! She started writing her first book aged 17, got an agent at 18, became the youngest female to sign to publishing giant Faber & Faber at 19, and released her first book, The Spider King’s Daughter at 21. Amazing! I find books set in Nigeria fascinating. I’ve thought about reading this, and I still may. 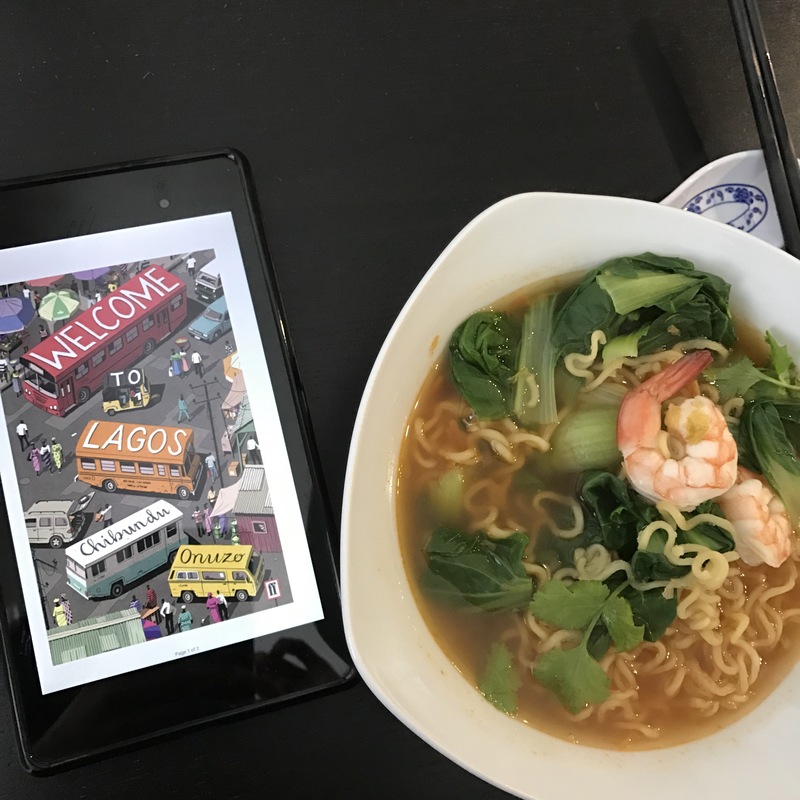 Have you read anything else set in Lagos?